Hi, Evie Bloomfield here and welcome to the Cozy Chicks Great Thanksgiving Giveaway. 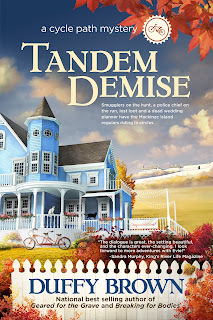 Leave a comment for a chance to win a copy of Tandem Demise!! 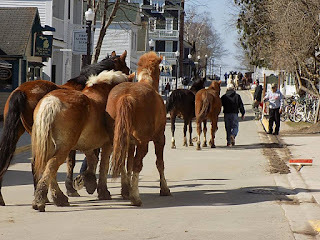 Well, it’s back to Mackinac Island and life with no cars and only horses, bikes and foot-power to get around. Fall is in full swing with the leaves changing colors, a chill in the air and gardens ablaze with mums of every hue. I love this island that is part of Michigan and located where Lake Michigan meets Lake Huron. 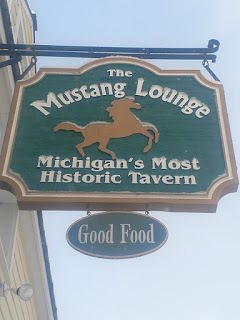 Life on Mackinac moves a bit slower with cell phone service not all that reliable and internet not all that important. Why look at a screen when you can a take bike ride to the Grand Hotel for high tea or visit Fort Mackinac for a musket drill or firing a cannon. The only way to get to Mackinac is by ferry. Taxis here are horse drawn affairs moving at about five miles an hour and riding bikes is a breeze with no horns honking or traffic to maneuver around. This is an island for getting away, for relaxing, for enjoying life with friends and family. It’s life the way it used to be. As if that isn’t enough, last night Fiona, my BFF and local newspaper editor, and I found a dead guy clutching a champagne bottle on the pier. Surely the dead guy and Nate are connected but how? Not only did the dead guy have the champagne but he had a picture of someone in his wallet. Could it be the killer? Someone who stole the loot from Chicago? Could it be Nate Sutter? 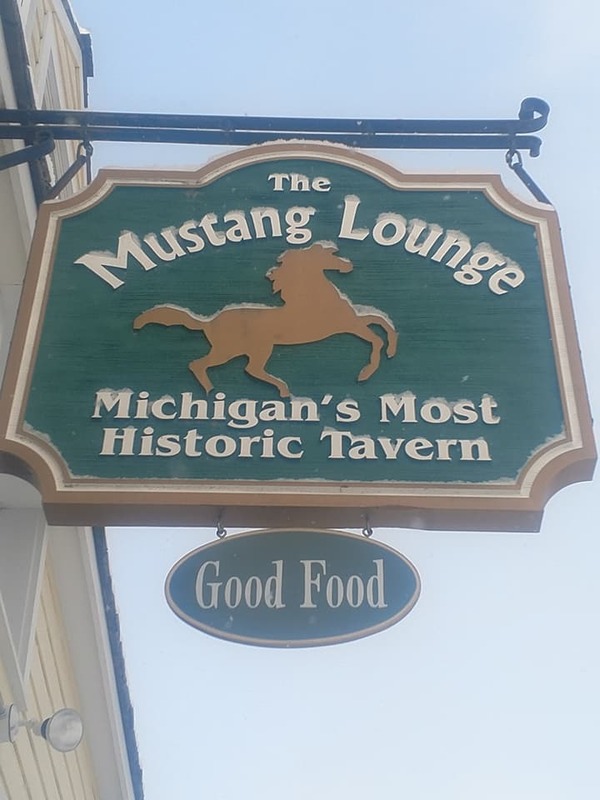 Right now I’m on my way to break into the Mackinac Island police station to find that picture. I’m not great at breaking and entering but I’ve picked a lock or two in my time. Wish me luck and let me know if you’ve ever tried to break into someplace you shouldn’t have been. 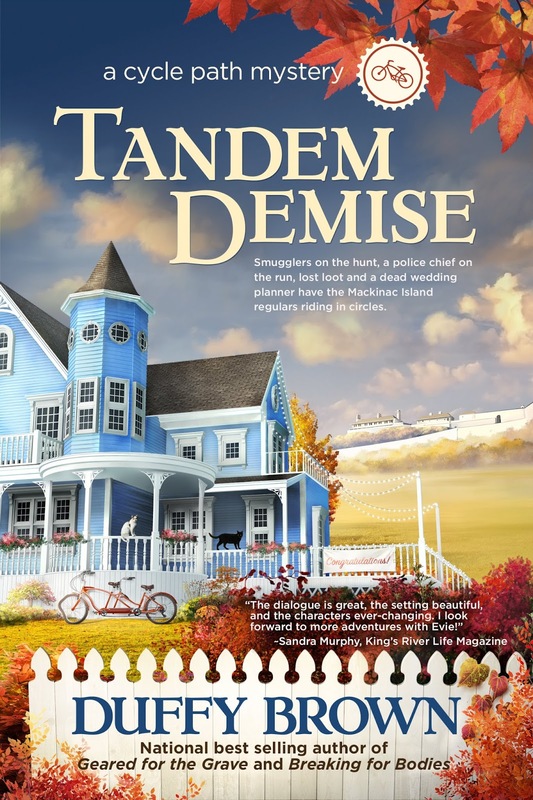 I’ll give away a copy of Tandem Demise from the answers. I have never broke into anywhere, although I have trespassed on land before! 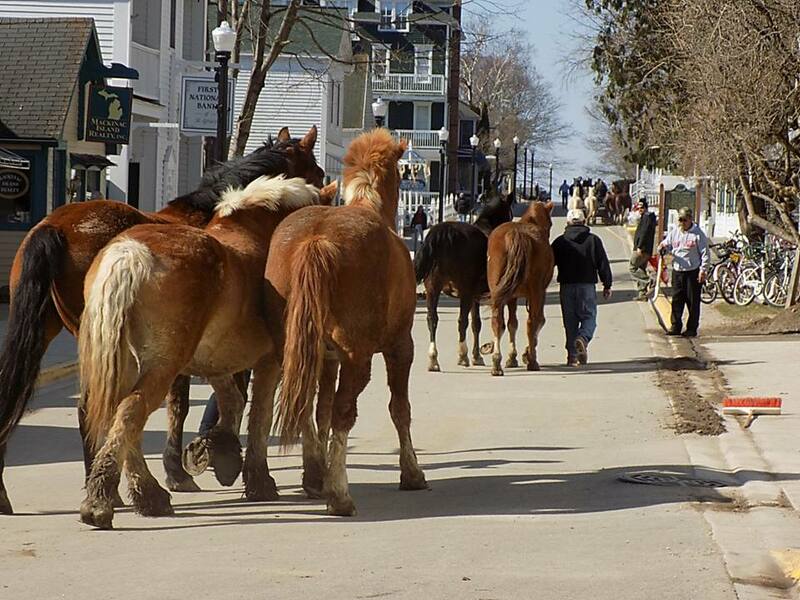 I hope one day I make it to Mackinac Island! I've never picked a lock, but I envy the talent. After all, you never know when it might prove handy! Which is why both of my house locks are sold as guaranteed pick proof. I've never tried to break into someplace I shouldn’t have been. When I was kid we used to explore houses that were currently being built. While we we didn't break in, we certainly were not allowed in there. No, haven't tried breaking in anywhere. However, I did like to snoop around when I was younger. mcastor07 (at) gmail (dot) com. Neither did I but I thought it would be neat to know how. If I have not sent you a Tandem Demise tote and you would like one send me your mailing address DuffyBrown@DuffyBrown.com. The winner of Tandem Demise is Jana Leah B. Email DuffyBrown@DuffyBrown.com with your mailing address or the email I can send an ebook to. Thanks everyone for playing along. Sent you an email. Thank you Duffy! I have had to break into my own home, but no where else. I haven't broken in anywhere but I have been in places I wasn't supposed to be - private parties, backstage at a concert venue. I did as a child at my grandmother's house. It was amazing, but not allowed. Never actually broken into any building, but have went in to abandoned houses that were scheduled to be torn down to see if there was anything worth salvaging. Since I didn't have the owners permission (since most couldn't be found) I guess in a sense I was trespassing of sorts. The best thing I've found was an old pedal sewing machine. The machine itself was toast, but the metal stand was in good shape. It had already fallen through the floor so it wasn't easy to get out at all. Brought it home, cleaned it up and painted it black. I know have a scrap piece of marble I bought at a flea market on top and use it as a plant stand on my porch. Thank you for the amazing chance to win a copy of "Tandem Demise"! Sounds absolutely amazing and definitely one that I would love the opportunity to read, review and share with friends. So glad you like my books!!! You made my day! I've not picked a lock but I think it would be good to know how in case I lock my keys in the house. My house when I'm locked out lol through the window. I was sort of locked out by my son. I was in the back yard with my dog and my son locked the sliding glass door. I had to climb through a window to get back in the house because there was a lock on the outside of the gate so I couldn't get out of the back yard either. I've never tried to get into someplace I shouldn't have been, but I do have an amusing story about getting out of someplace. When our daughter was little, the evening bath was a favorite time for both of us. I always shut the bathroom door to keep it warm and steamy. Well one night the door simply would NOT open when bath time was over. Mystified as to what could be the problem, I called out to my husband for help. As there was no window for escape, all he could think of was to take the door off its hinges. The hinges were on our side, but the pins were tight, and there was not enough space below the door to slip a tool under. After quite a frustrating time, and numerous destroyed bobby-pins, I was able to get us out of there. Good thing my daughter was so busy dragging everything out of the vanity, that she hardly knew anything was amiss.